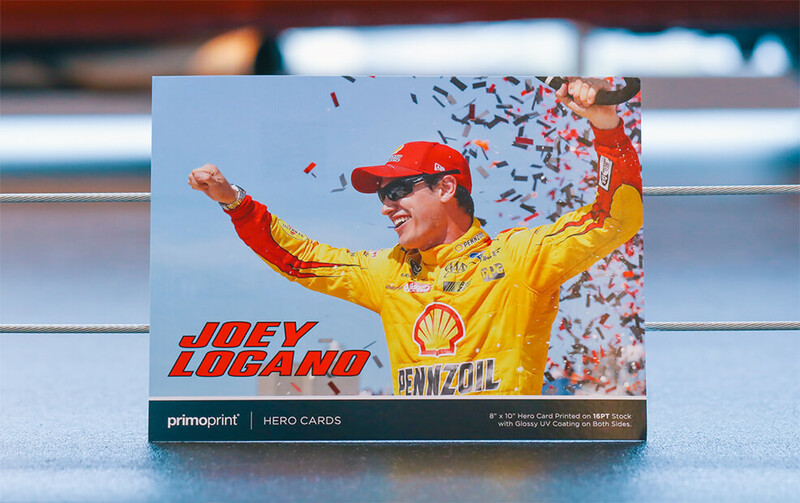 Hero Cards, also known as driver cards or autograph cards, are custom printed cards that are designed to showcase the race car driver, display race statistics and promote the race team and sponsors. Great for any race series or level including NASCAR, Whelen, World of Outlaws, Late Model, US Legends, Go-Karts, Drag Racing, and so many more. 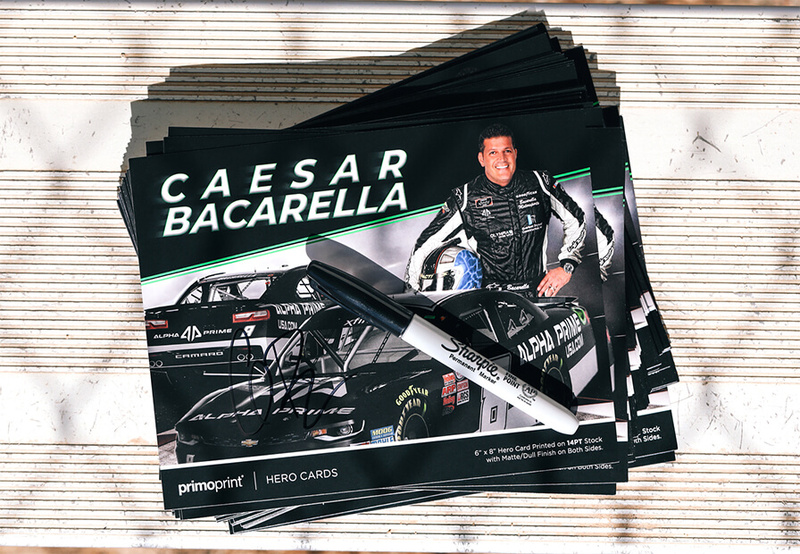 They are often used for driver meet-n-greets, autograph appearances and as race day handouts. Additionally, race teams offer fans to request hero cards through the mail. 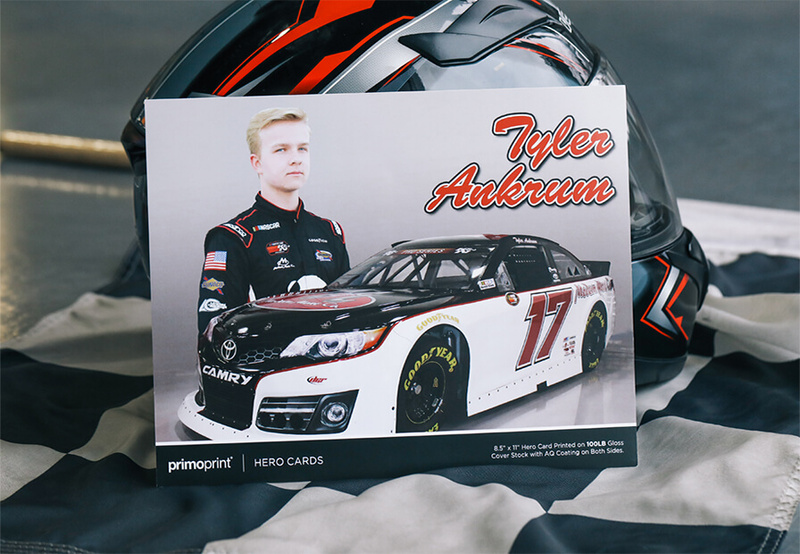 Hero cards are fun for fans of any age to collect and showcase their favorite driver and team. Are you looking for other Racing products? 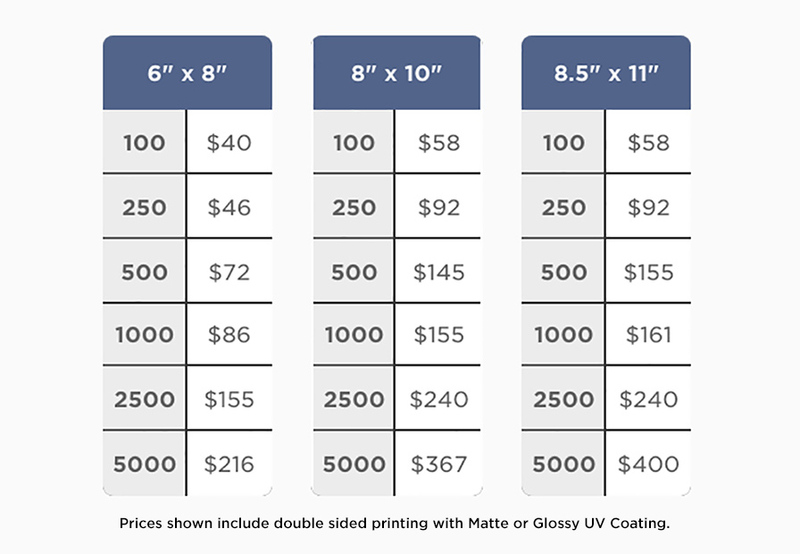 Make sure you take a look at other popular print materials including trading cards, bumper stickers, and business cards. Please Select 4" x 6" 5" x 7" 6" x 8" 6" x 9" 8" x 10" 8.5" x 11" 9" x 12"